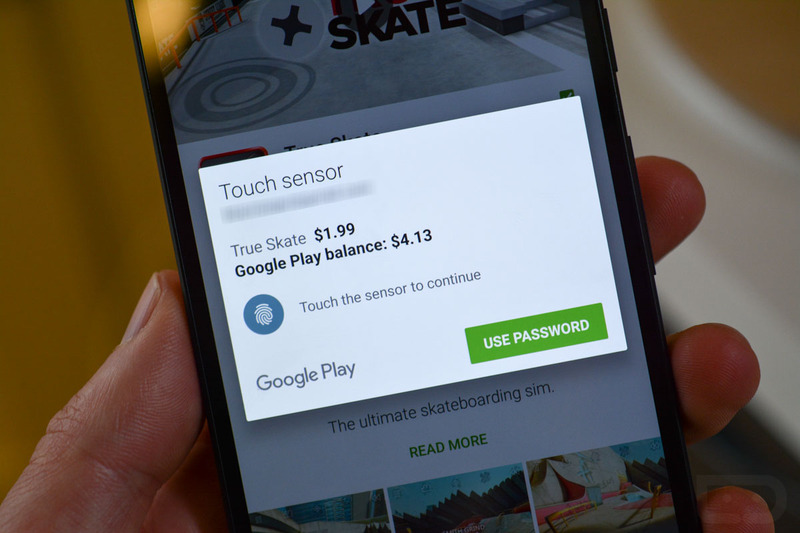 If you ordered a Nexus 5X or Nexus 6P, don’t forget that thanks to Android 6.0 Marshmallow and the fingerprint scanners on each, you can use your fingerprint to pay for goods on Google Play. You will have to enable the option and setup some fingerprints, but once you have done that, password typing will become a thing of the past. 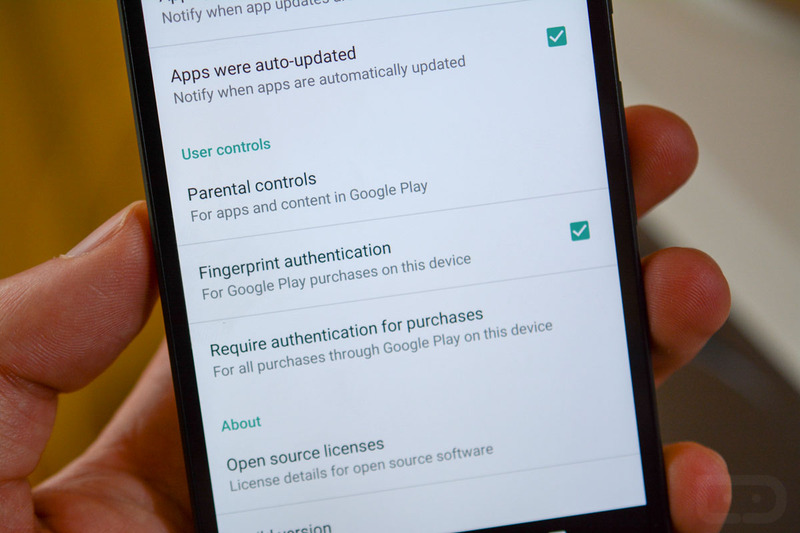 With a compatible phone (a phone running Android 6.0 that also has a fingerprint scanner), all you need to do is open Google Play, head into settings, scroll down to the “User controls” section, and you should see a “Fingerprint authentication” option. Check that box and you are ready to go. Also, if you haven’t yet watched our video on how amazing the new Nexus fingerprint scanners are, watch it here.